Sen. Cory Booker (D-NJ) plans to join fellow New Jersey Senator Bob Menendez (D-NJ) in a 24 hour fast for comprehensive immigration reform after they visited the “Fast for Families” amnesty fasters on Wednesday. Menendez, along with Republican Senators Marco Rubio (R-FL), John McCain (R-AZ), Lindsey Graham (R-SC), and Jeff Flake (R-AZ), wrote the Senate bill that passed this year. The House has yet to act on immigration reform, though House Speaker John Boehner (R-OH) has said immigration reform was “absolutely not” dead. 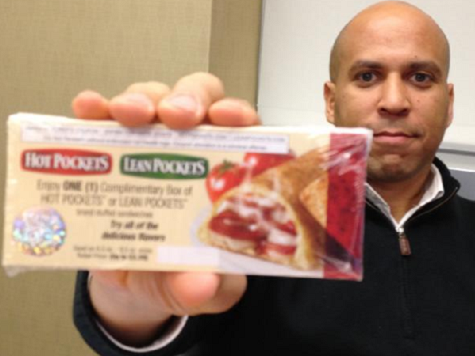 Booker is known for publicity campaigns, and the media gushed the last time he spent a week living off food stamps. The pathway to citizenship provision that Booker is fasting for, though, would lower the wages of working class Americans of all races, according to the nonpartisan Congressional Budget Office.